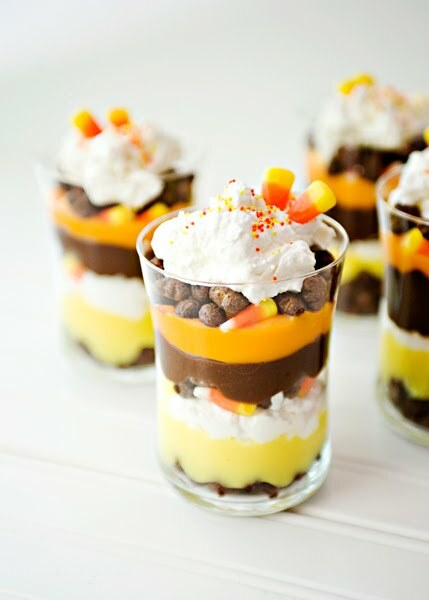 Tangled and True: candy corn parfaits. When I saw these candy corn parfaits on one of my favorite food blogs (baked bree) I knew I had to make them. I'm on my way to the store now for supplies. I think they'll be a hit with the kiddos. Oh my word, these look FANTASTIC!! Thank you for sharing! mmmm this look delish and fun too! Oh man, I need to do these next week for the YW!